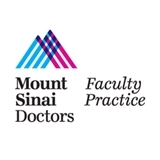 Mount Sinai Doctors Orthopedic Surgery (Brooklyn) - Book Appointment Online! Came in for an evaluation and felt like I was in good hands. Easy and matter of fact manner. The appt I made through Zoc Doc was not put through to the doctor’s office so I had no appt.! I gave her 5 stars not to penalize her for your error. She was great. Communicated and related well with my sixteen year old. I would highly recommend . Professional and thorough diagnosis (included x rays). Very friendly staff start to finish! I really like Dr Cho. I arrive 5 min before my appointment and haad to wait 5 min to see him. He is very patient and explains everything so you understand. He has a calm demeanor, I would highly recommend him. I have already told some of my co-workers who are looking for an orthopedic surgeon about him. well organized and efficient office, very polite and gracious assistants.